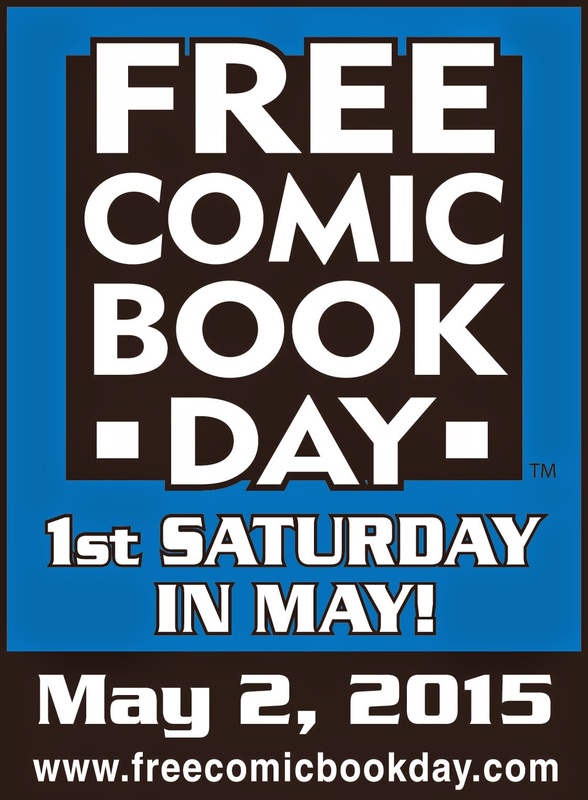 Comic book specialty retailers worldwide expect significant attendance at this year’s Free Comic Book Day (FCBD) and have pushed their ordering to record breaking levels with more than 5.6 million free comic books to be available the day of the event, May 2, 2015. This year’s order for FCBD titles is a 21% increase over 2014’s previous comic order. The number of participating stores has also increased with 2,340 specialty shops participating in Free Comic Book Day across the US, Canada and internationally, up 8% over last year. “FCBD is the day after the opening of the Marvel’s Avenger's Age of Ultron film, and thousands of comic book shops across North America and around the world will look to share the magic of comic books with their communities,” said FCBD spokesperson Deborah Moreland. “Free Comic Book Day is a wonderful time of year for independently owned and operated comic shops as FCBD gives them an extra push in business as they connect with new customers and get a positive charge forward for the summer months and rest of 2015." Comic book publishing powerhouses, Dark Horse Comics, DC Entertainment, IDW Publishing, Image Comics and Marvel Comics are among the many sponsors offering 50 special comic book titles for Free Comic Book Day 2015. Free Comic Book Day is designed to appeal to a broad range of tastes, making it a great event for readers of all ages to find a comic they will enjoy as they explore all their local comic book shop has to offer. For more FBCD news and updates, to locate a participating comic shop and to see all 50 free comics available on May 2nd, visit the FCBD website at www.freecomicbookday.com. Also become a fan on Facebook at www.facebook.com/freecomicbook and follow us on Twitter at www.twitter.com/freecomicbook.